Fabulous apartment with wonderful spaces and views from all terraces over the national park and to the water. Private pool and partially covered terrace made swimming possible in all weather- best pool we’ve come across in an airbnb. 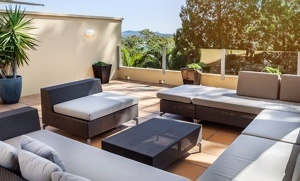 Absolutely loved this apartment and spent a relaxing week enjoying all the spaces as well as Noosa and surrounds – love to return.